Ahavat Ammi Ministries is blessed and excited to announce the global establishment of Yeshivat Shuvu Spanish global branch. Yeshivat Shuvu in Spanish is open to registration and enrollment as a world class program that is focused on discipleship, training and equipping for the Spanish-speaking world. The Yeshiva is available now for enrollment and offered at greatly reduced pricing during Chanukah. Rabbi Itzhak Shapira commented: The establishment of Yeshivat Shuvu in Spanish is not only important for educational purposes, but it also holds great prophetic value as we see the Sefardim and the B’nei-Anusim returning to the proper context of their faith without leaving Yeshua. Yeshivat Shuvu offers a complete balanced Jewish discipleship program that will make a global impact on the Spanish speaking world right away. Yeshivat Shuvu in Spanish, will have a new President of Admissions for the Spanish branch. Pastor Raul Rubio from Kehilat Yovel in Columbia will assume this role. Pastor Rubio commented: Before our own eyes and at this time we are witnesses for the awakening of the Jewish People, transmitting the teachings of Yeshua from its original context. 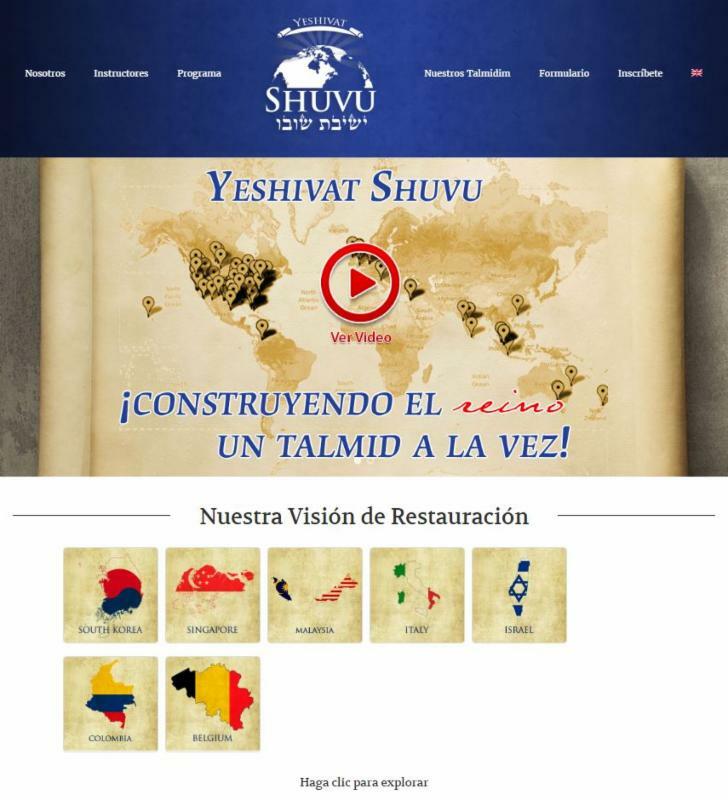 Yeshiva Shuvu will impact the entire Spanish-speaking world. Yeshivat Shuvu Spanish will be available worldwide for Spanish speakers who seek to be discipled and trained, studying under mature and authentic Messianic Jewish Rabbis. Rabbi Shapira concluded: I would like to thank the great effort by Pastor Rubio and the entire team who participated in such a complex project to impact thousands. The strong vision of all the Rabbis who are involved allow us to put together a world class program that will allow the Sefardim and Anusim to be brought into common and normative Messianic Judaism with a strong identity in the Messiah. We were tasked with dealing with the identity issue that is impacting Spanish speakers. Now Spanish Messianic believers will have the right tools and answers in addressing these complex and important issues in a single program. None of this would have been possible without the dedication of all of our staff and our strong vision for restoration among the Spanish speakers. We welcome the Spanish speaking community with open arms and the words: Beruchim Habaim!